WLE Austria Logo (no text).svgWiki Loves Earth photo contest during June 2017: Upload photos of natural sites in Canada to help Wikipedia and win fantastic prizes! 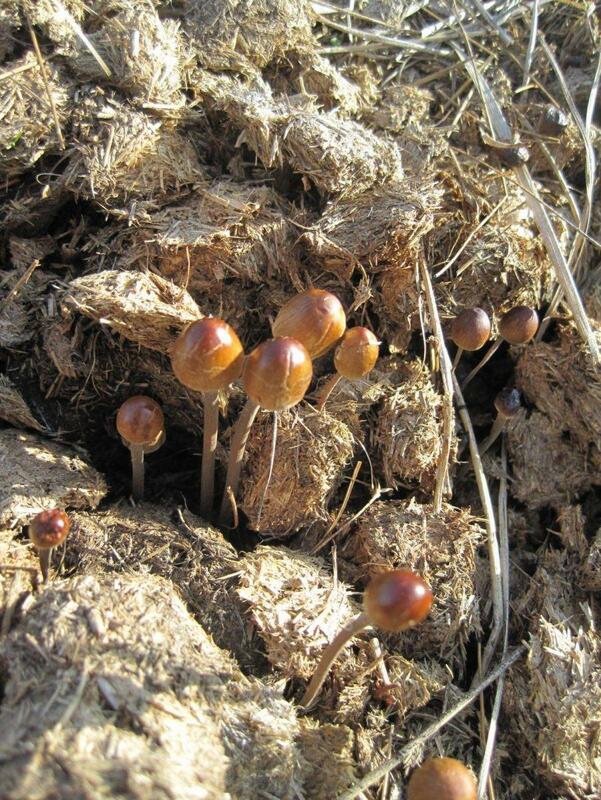 Panaeolus papilionaceus, also known as Agaricus calosus, Panaeolus campanulatus, Panaeolus retirugis, and Panaeolus sphinctrinus, and commonly known as Petticoat mottlegill, is a very common and widely distributed little brown mushroom that feeds on dung. 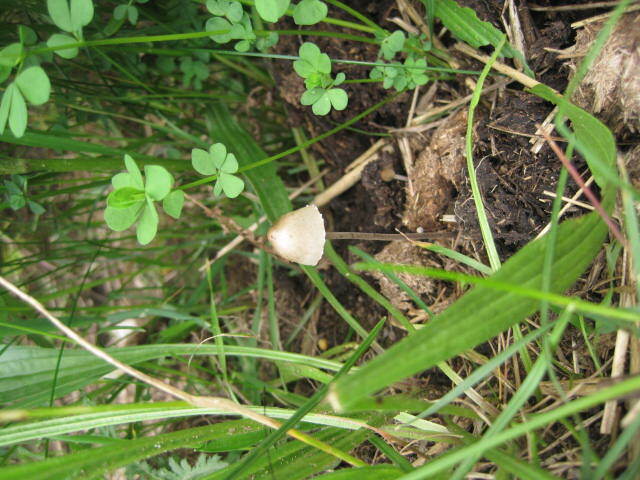 This mushroom is the type species for the genus Panaeolus. 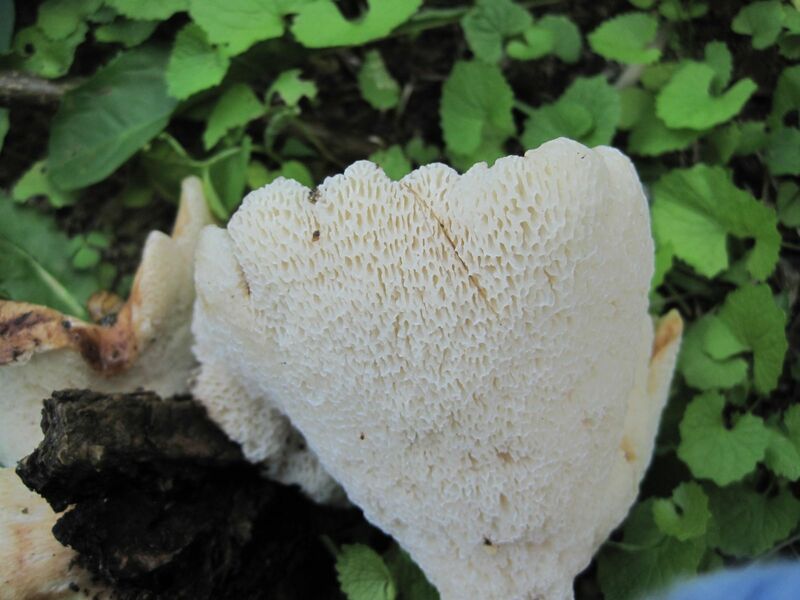 Cap: 1 – 5 cm across, obtusely conic, grayish brown, not hygrophanous, becoming campanulate in age, margin adorned with white toothlike partial veil fragments when young, flesh thin. 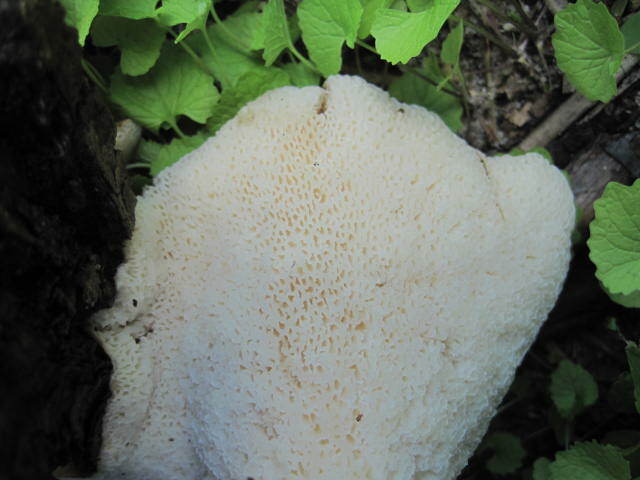 Gills: adnate to adnexed close to crowded, one or two tiers of intermediate gills, pale gray, acquiring a mottled, blackish appearance in age, with whitish edges. Spores: 12 - 18 x 7-10 µm, elliptical, smooth, with an apical pore, spore print black. 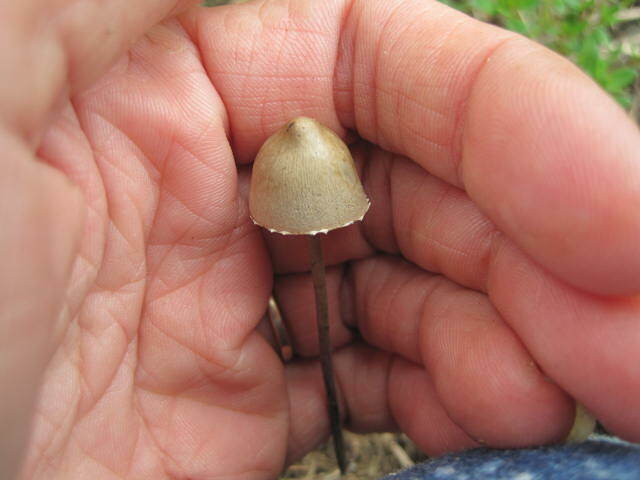 Stipe: 6 – 12 cm by 2 – 4 mm, gray-brown, darker where handled, paler toward the apex, fibrous and pruinose. Microscopic features: Basidia 4-sterigmate; abruptly clavate. Cheilocystidia abundant; subcylindric, often subcapitate or capitate. 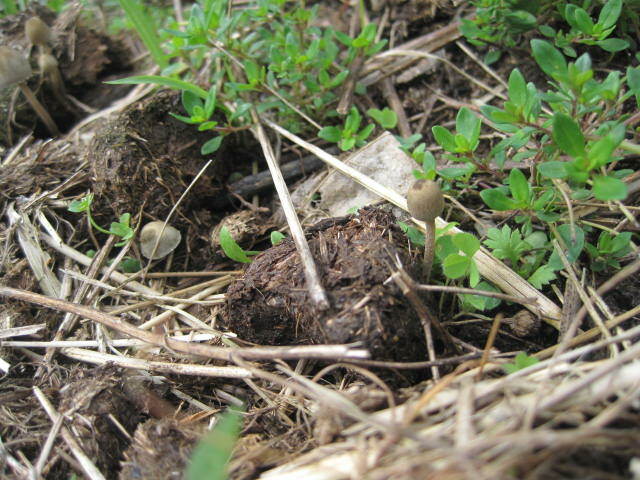 Occurring singly, gregariously, or caespitosely on cow/horse dung, moose droppings, and in pastures. 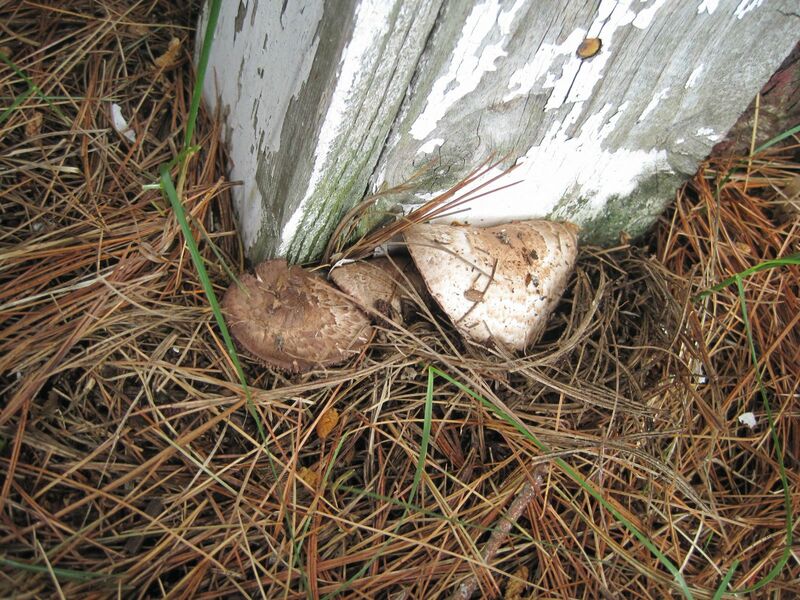 Widely distributed in North America in Spring, Summer, and Fall and through the Winter in warmer climates. 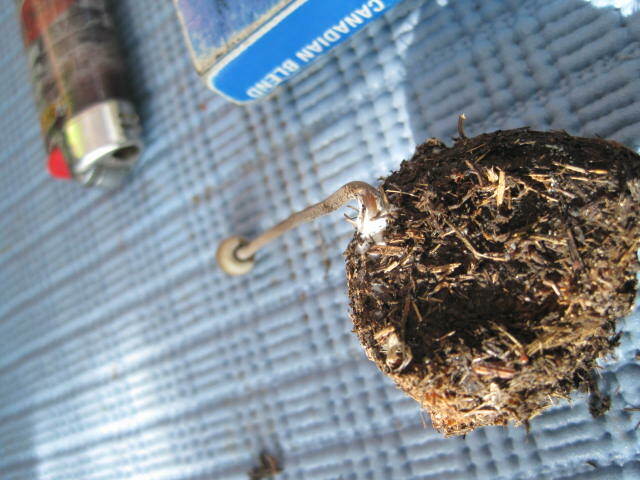 It can be found in countries including Canada (Alberta, British Columbia), the United States (Alabama, Alaska, California, Colorado, Florida, Georgia, Indiana, Louisiana, Maine, Massachusetts, Missouri, Montana, New Mexico, New York, Oklahoma, Texas, Washington,), the Caribbean (Bahamas, Cuba, San Vincent Island), Chile, Colombia, Uruguay, France, The Netherlands, Macedonia, Mexico, Norway, Slovenia, South Africa, Uganda, China, Iran, Lithuania, Kuwait, and the Philippines. 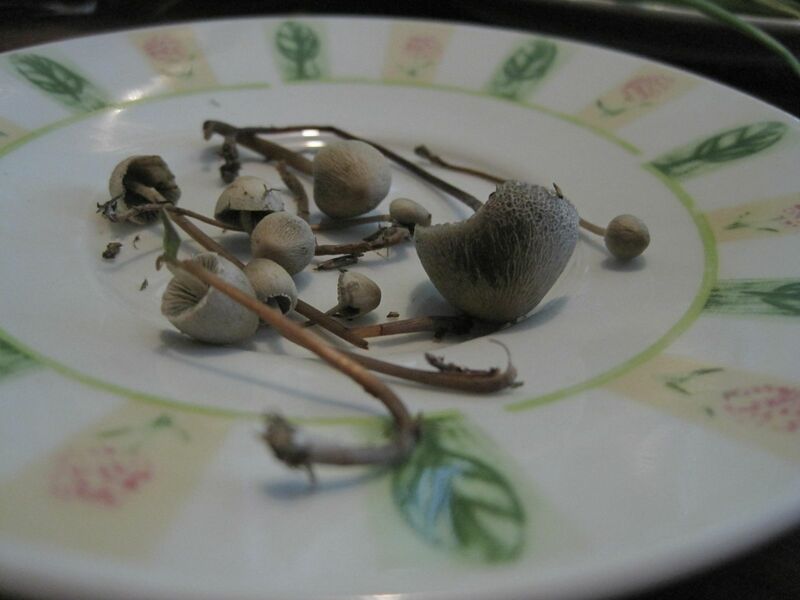 Panaeolus papilionaceus is edible, however it is neither choice in flavor nor substantial in mass. 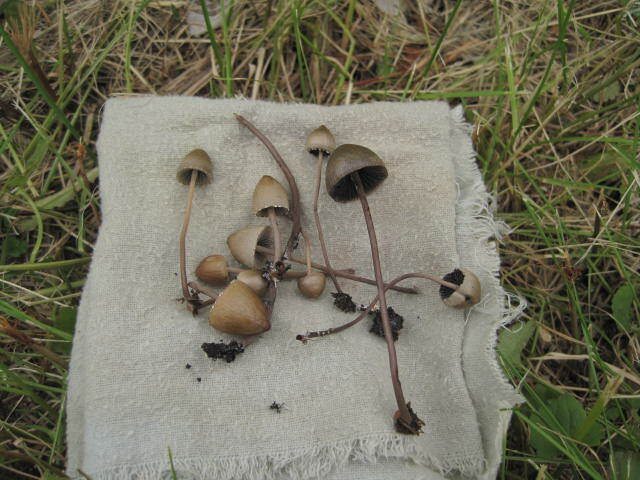 While similar looking species, such as Panaeolus cinctulus, do contain psilocybin, Panaeolus papilionaceus does not. 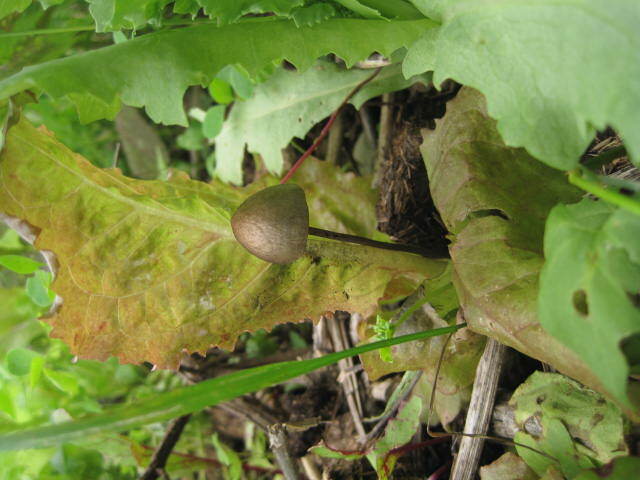 Panaeolus campanulatus, Panaeolus retirugis, and Panaeolus sphinctrinus are all synonyms; they represent taxa formerly considered distinct; I have included their morphological differences in the broad description above. Cantharellus cibarius :) isnt in North America so ....re-naming and DNA testing is happing I guess ....."they"
" Major Groups > Chanterelles and Trumpets > Cantharellus "cibarius"
The chanterelles grouped together here are usually fairly easy to spot; they are medium-sized or large, yellow to orange-yellow or orange mushrooms found in hardwood forests, featuring a broadly convex, flat, or shallowly depressed cap, a central and fleshy stem, and false gills on the underside of the cap. 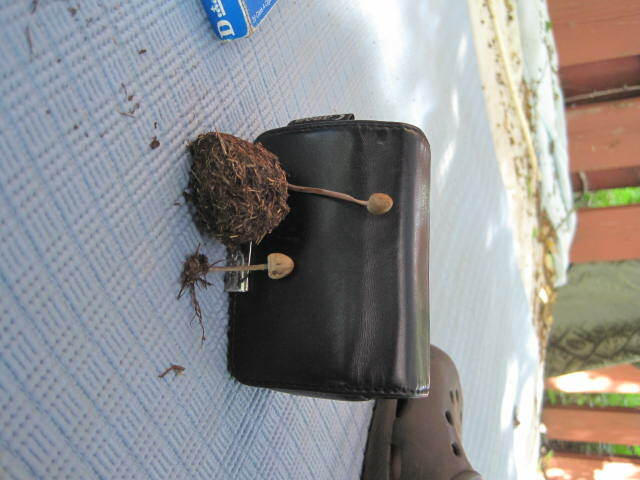 The mushrooms are also known for their fruity, apricot-like odor, best detected when you have several of them together in your collection bag or basket. 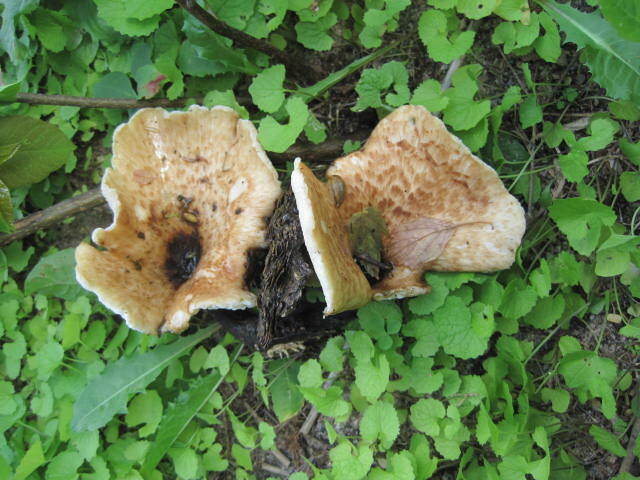 It is currently unclear how many species of Cantharellus in North America match the general description above. 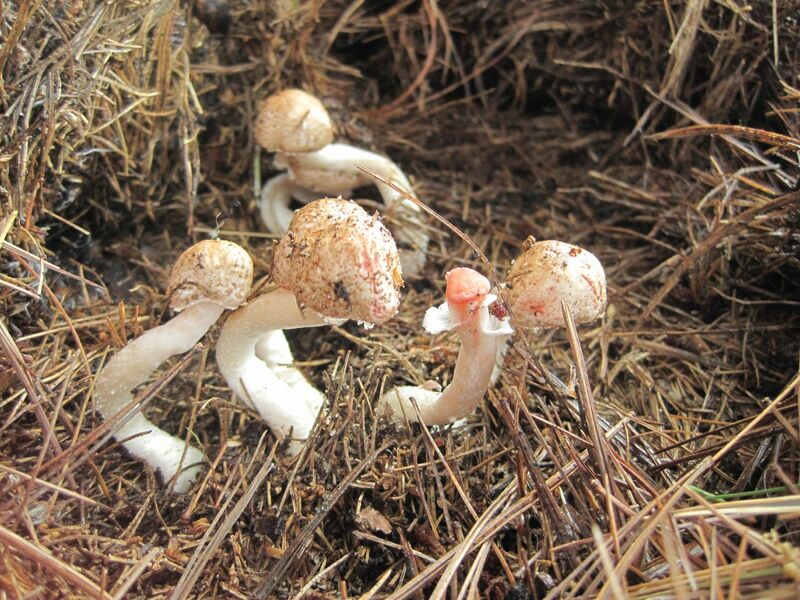 Until recently they were all lumped together in treatments of "Cantharellus cibarius," but recent research has made it clear that Cantharellus cibarius is a strictly European species. 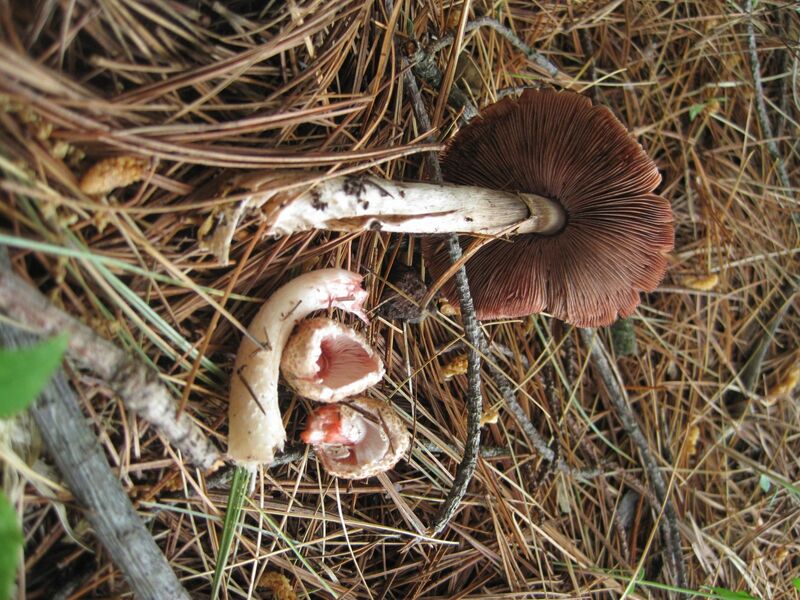 In western North America (that is, from the Rocky Mountains westward) there appears to be less diversity among the cibarius-like species; so far, anyway, only four species have been delineated with contemporary species concepts; see the key to chanterelles and trumpets, beginning with couplet #17. But in eastern North America, we may well be in for some changes. At the time of this writing (early 2015), two papers have begun to describe cibarius-like species from Texas (Buyck & Hofstetter, 2011) and from Wisconsin (Foltz and collaborators, 2013). 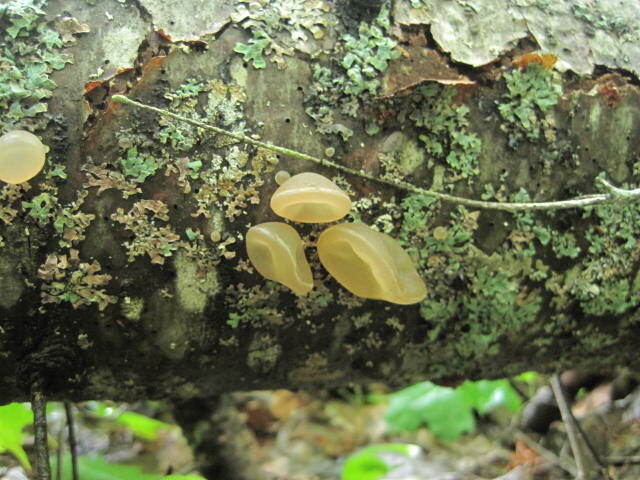 These new eastern species can be found in the key to chanterelles and trumpets, beginning with couplet #44. 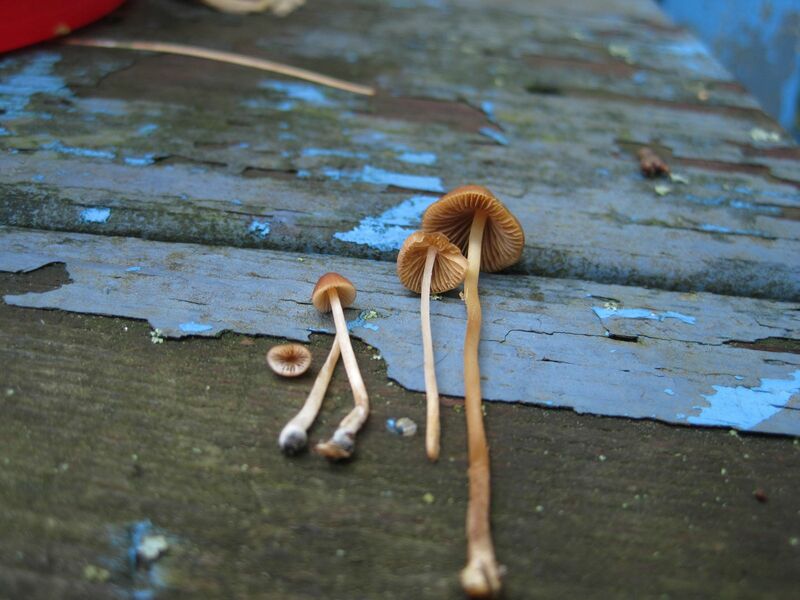 Spore Print Color. 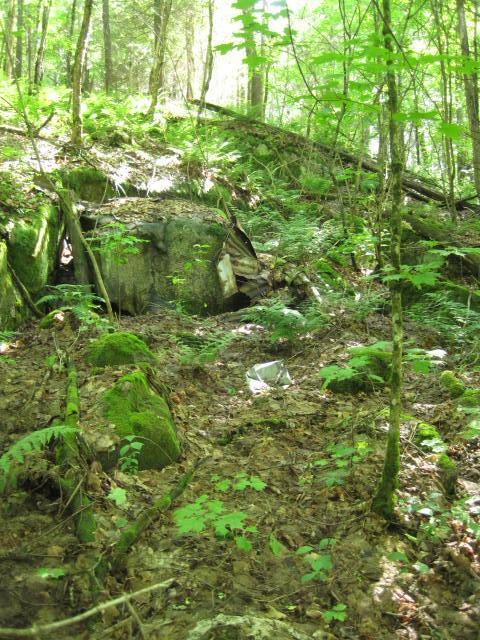 The Foltz paper used DNA sequencing to identify three separate cibarius-like species growing within 65 feet of one another in Wisconsin. 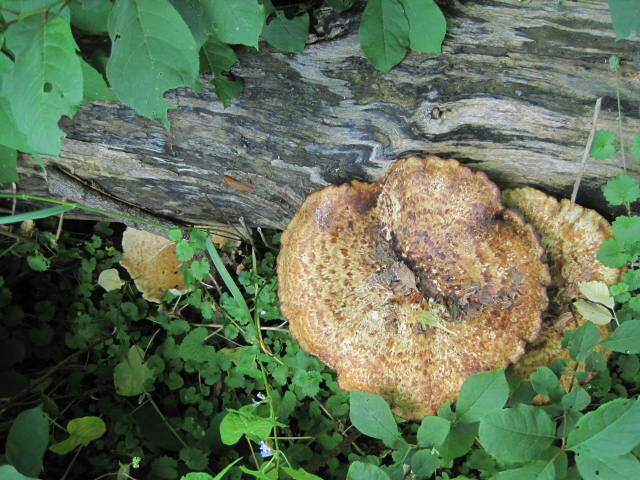 The authors determined that each species had a different spore print color. 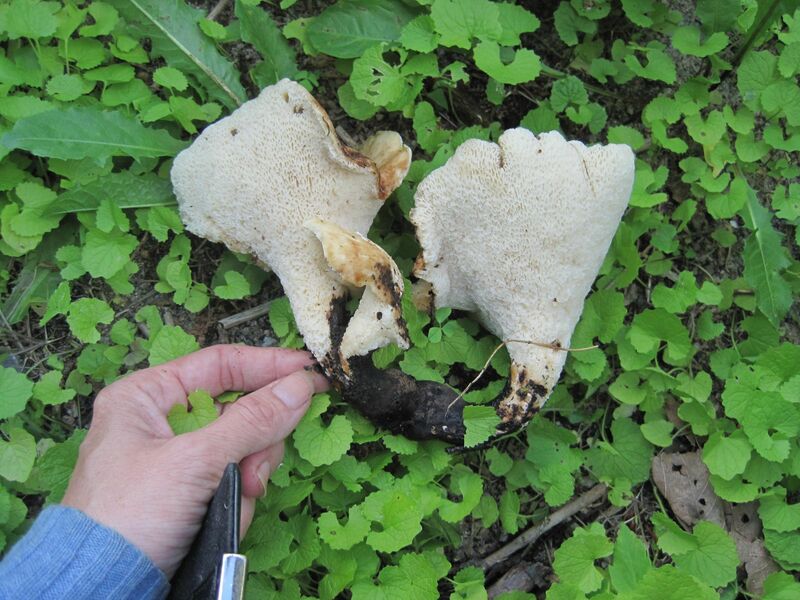 The authors of the Texas paper, however, did not document spore print color for one species, and for the other they only managed to obtain very thin spore prints that looked more or less whitish--but any chanterelle spore print can look whitish if it is not thick. When recording the color of a chanterelle spore print, be sure to hold the print in good light, and view it from an oblique angle. The colors recorded for North American cibarius-like species, so far, include white, creamy, yellow, pinkish, and deep pinkish (salmon). 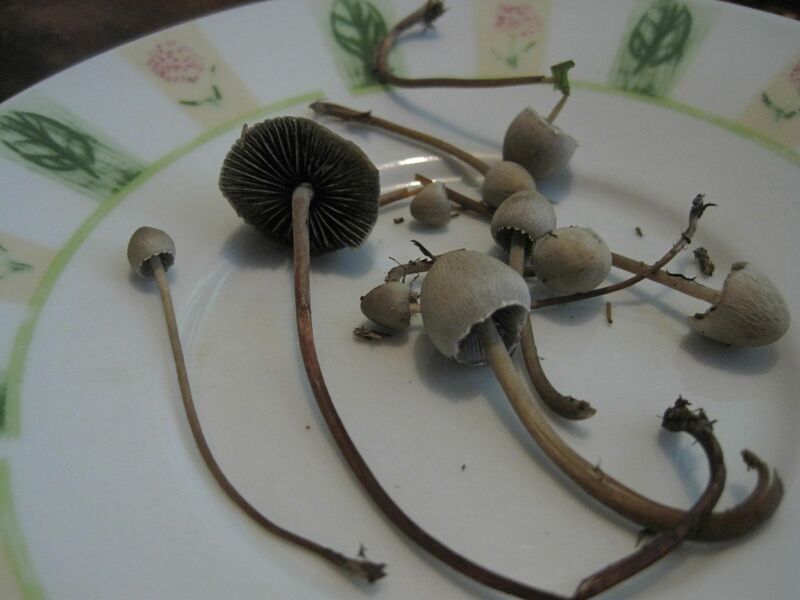 Color of False Gills. 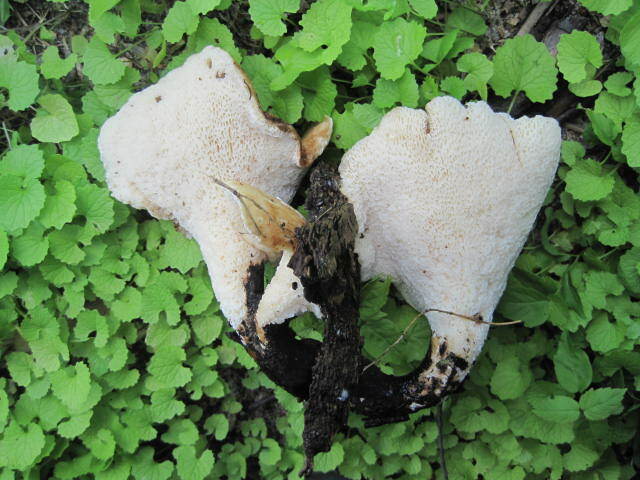 The Foltz paper also used the color of the false gills to help separate species. 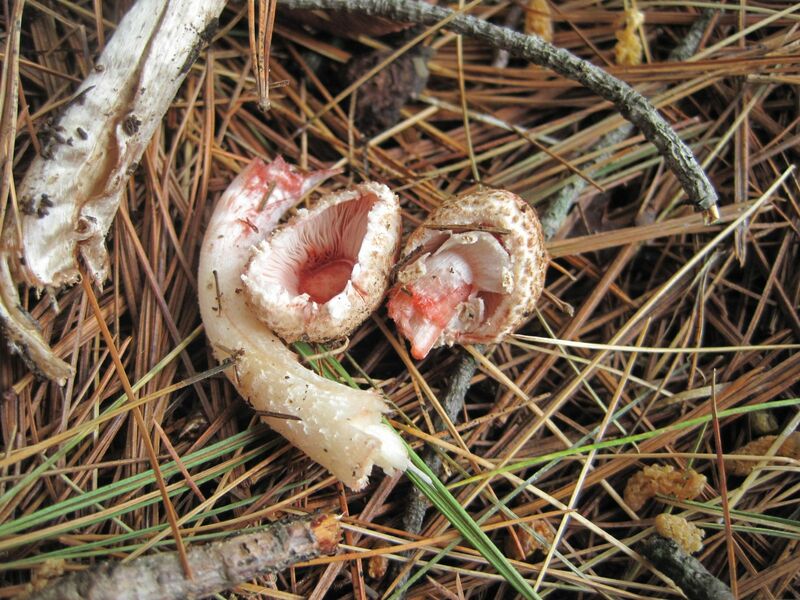 This color is subject to potential change over the course of the chanterelle's development; for example, the whitish young false gills of Cantharellus phasmatis develop pink shades as the spores mature. 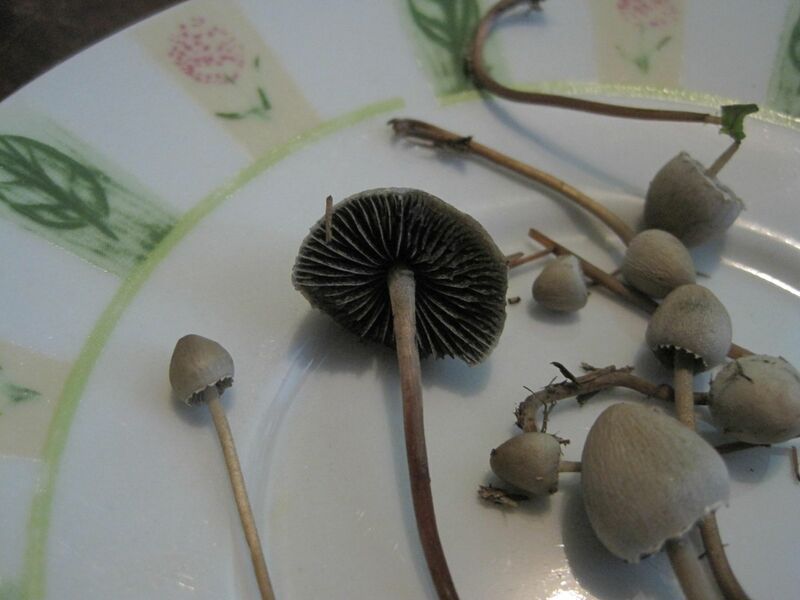 The color of the false gills can be difficult to assess, and even more difficult to photograph. 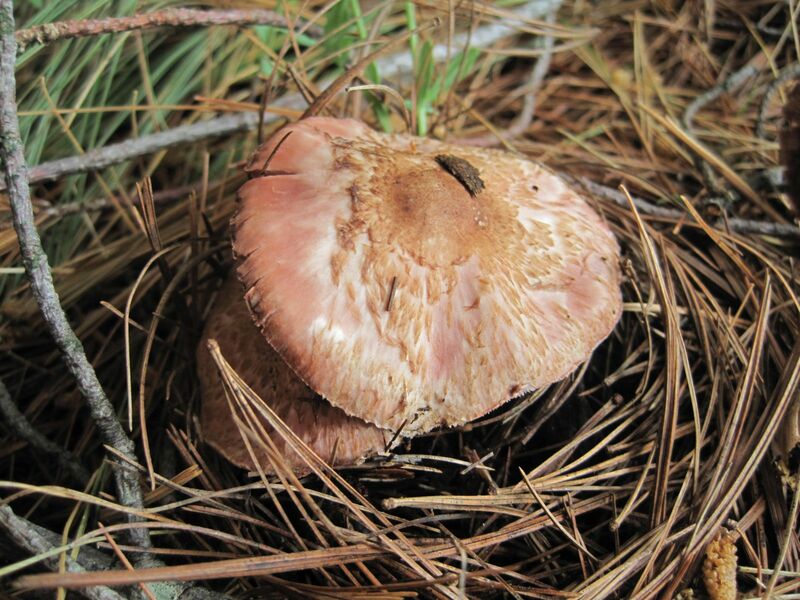 "Pink" in mushroom mycology is not always as, well, pink as one might think. 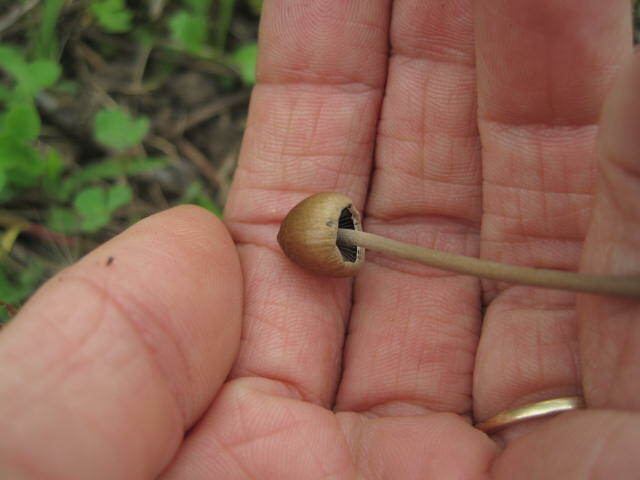 I recommend making the observation in good, natural light, and holding the mushroom at various angles before deciding. 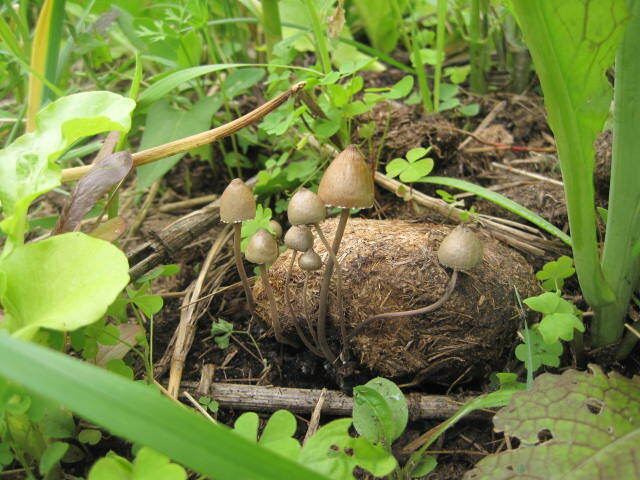 Mycorrhizal Association. 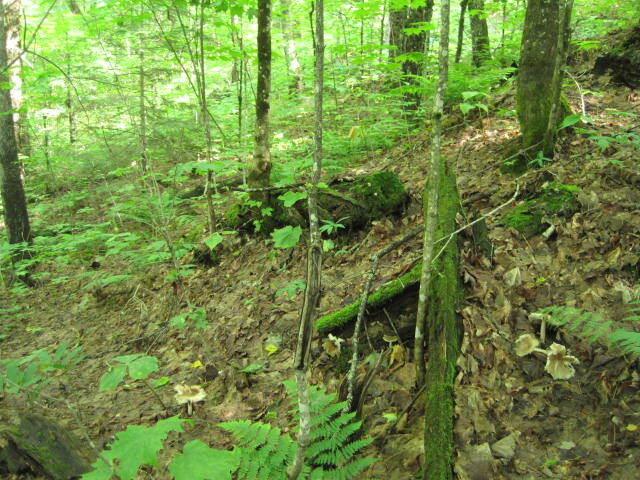 The precise extent to which chanterelles are mycorrhizal specialists is not yet known. 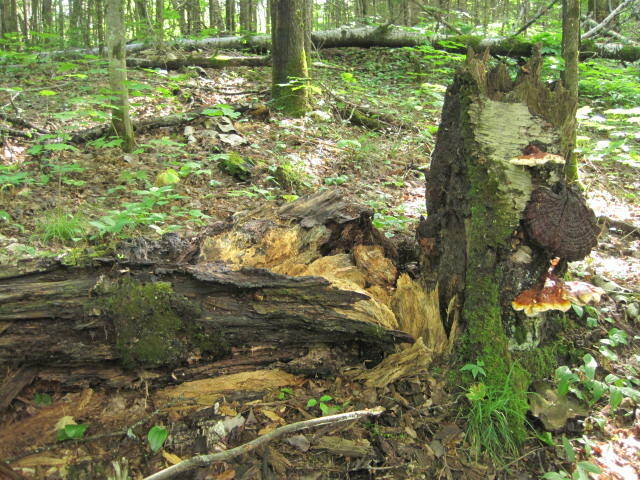 For this reason it would be a good idea to document any tree within "toppling range" (the distance from which, if the tree were to fall over, it could potentially hit the mushroom) with as much precision as possible. 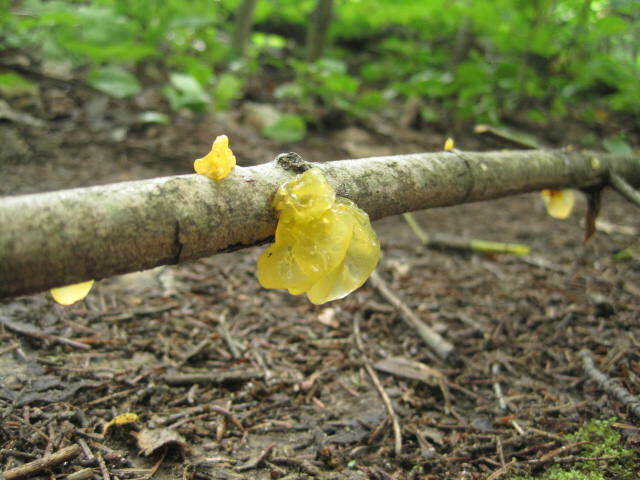 It is entirely possible that some species of cibarius-like chanterelles are associated with a limited number of hosts, which might help in their identification. Basic Morphology. Aside from the special details above, of course, the basic proportions, colors, measurements (width of the cap, length and width of the stem), and so on should all be recorded and photographed. 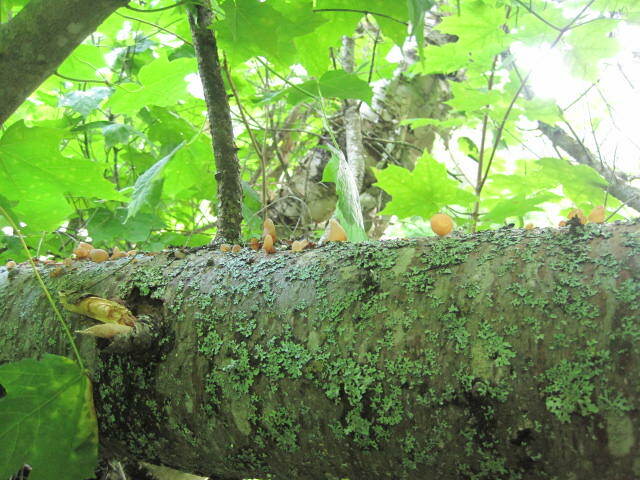 Good photos are especially important with chanterelles, because the features that separate them are likely to be easily assessed only when the mushrooms are fresh; microscopic features, which can be observed from dried specimens, are only occasionally useful with this group of species. Robust, well-documented, well-dried collections of cibarius-like chanterelles are essential to figuring out what our chanterelle species are. 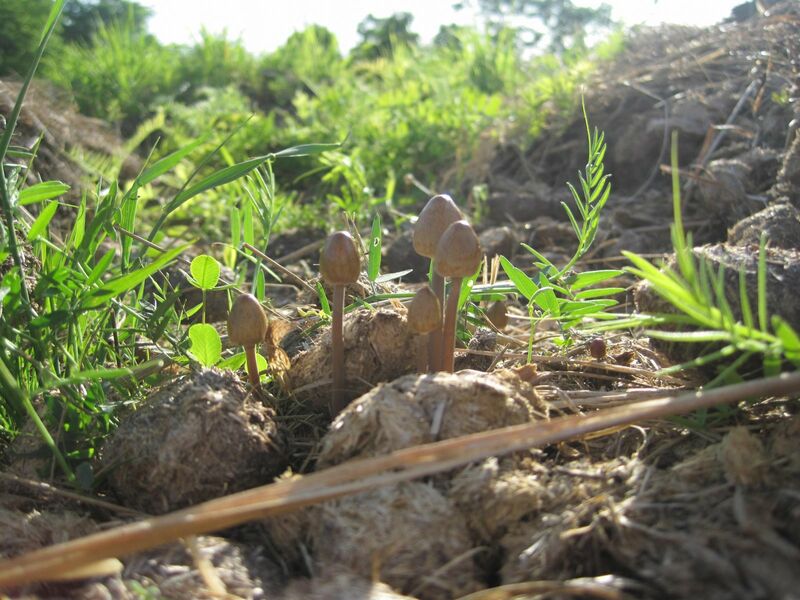 If you (or your mycological society) are interested in helping, I urge you to make such collections and donate them, along with supporting documentation and photgraphs, to a public herbarium. If you would like help figuring out the process, or selecting a herbarium, feel free to contact me! REFERENCES: Fries, 1821; Coker, 1919; Smith, 1968; Bigelow, 1978; Petersen, 1979; Smith, Smith & Weber, 1981; Weber & Smith, 1985; Lincoff, 1992; Metzler & Metzler, 1992; Horn, Kay & Abel, 1993; Barron, 1999; Roody, 2003; McNeil, 2006; Kuo, 2007; Binion et al., 2008; Buyck & Hofstetter, 2011; Foltz et al., 2013; Kuo & Methven, 2014. Herb. Kuo 06249402, 06130206, 07220303, 07220305, 07180702, 07011101, 07121101, 07141102. Kuo, M. (2015, March). 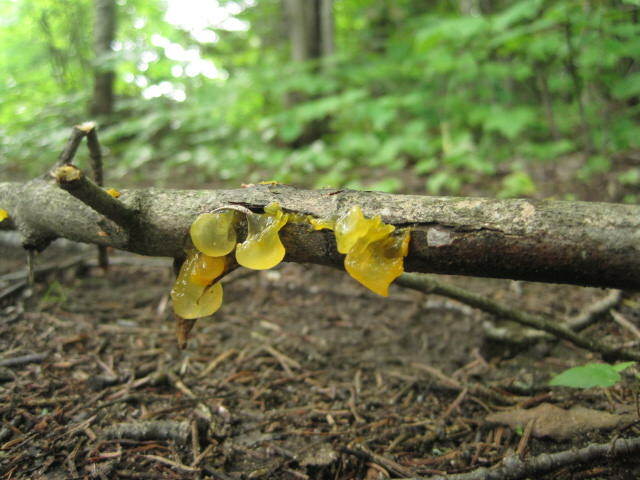 Cantharellus "cibarius." Retrieved from the MushroomExpert.Com Web site: http://www.mushroome..._cibarius.html"
Variable.....Mother Nature is variable and this keeps things from going stale................we and everything else swing with it but the water in us all tends to keep things pretty much stabilized. Edited by wildedibles, 09 July 2017 - 11:05 AM. 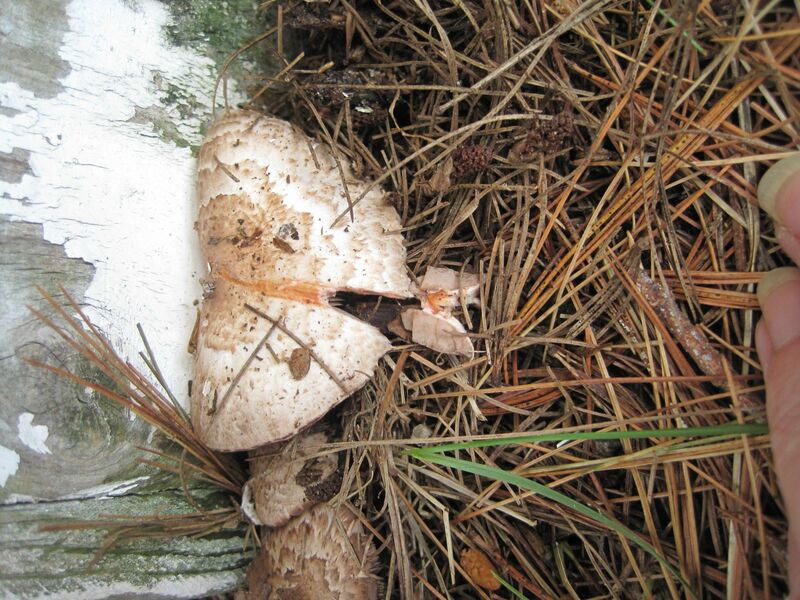 My best guess on your red staining shroom pictures would be Lepiota flammeotincta. Edited by cubesRAbore, 09 July 2017 - 01:50 PM. Edited by wildedibles, 09 July 2017 - 04:23 PM. Yep. I think your right on. 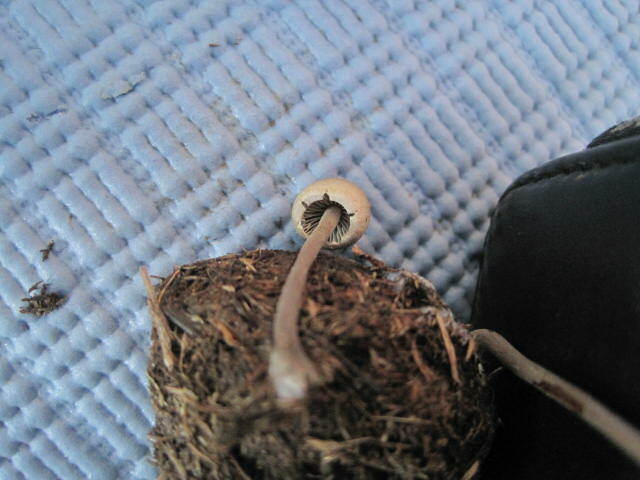 I hadn't noticed the pic with the mature specimen with the dark gills. 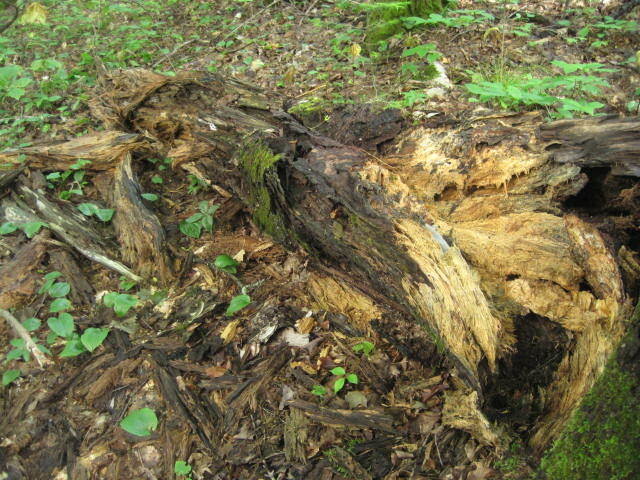 now this log to the left was standing last time ?? wonder how it fell over ....did the rain do it?? Edited by wildedibles, 11 July 2017 - 05:17 AM. 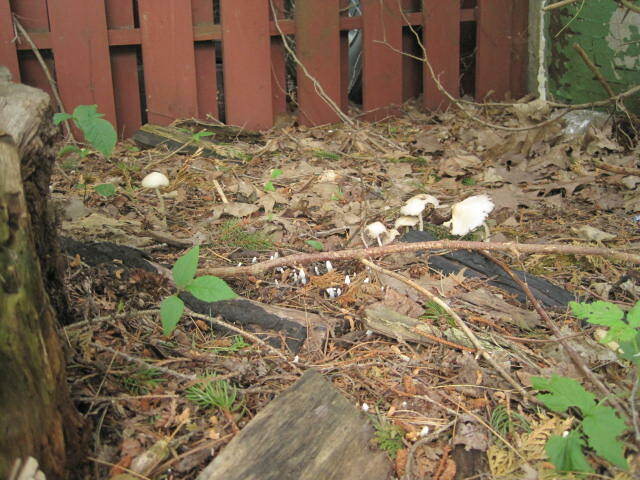 2017 06 28 was the date on these pictures and they are still growing the top is getting pink slightly lol making them look even more like the real thing ....I think its funny that there is like 50 of them growing :) under a ceader tree , balsam fir tree, maple and lots of mixed burried wood including ground hemlock so?? 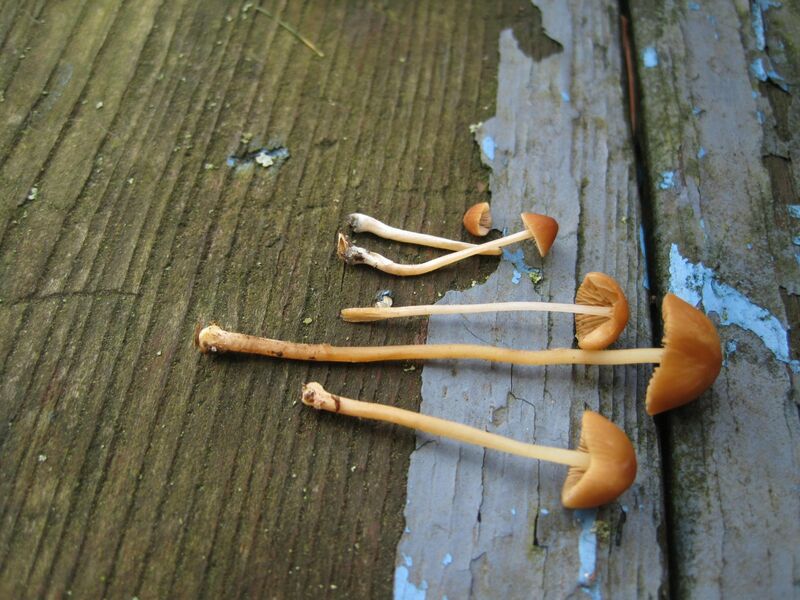 they maybe growing out of the hardwood block?? 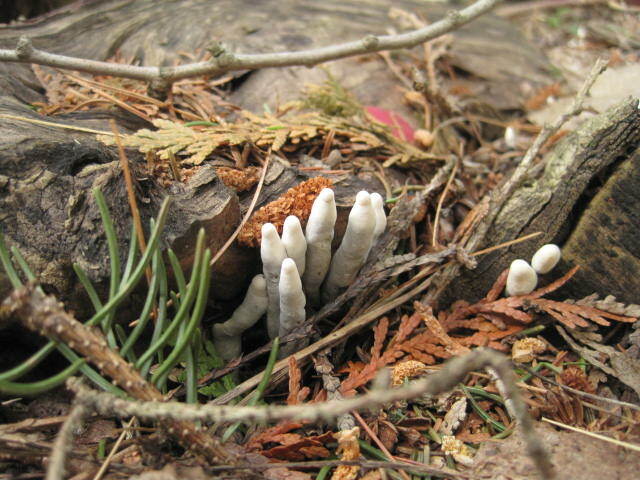 I bet it's a Clavaria spp. Edited by wildedibles, 11 July 2017 - 10:57 AM. 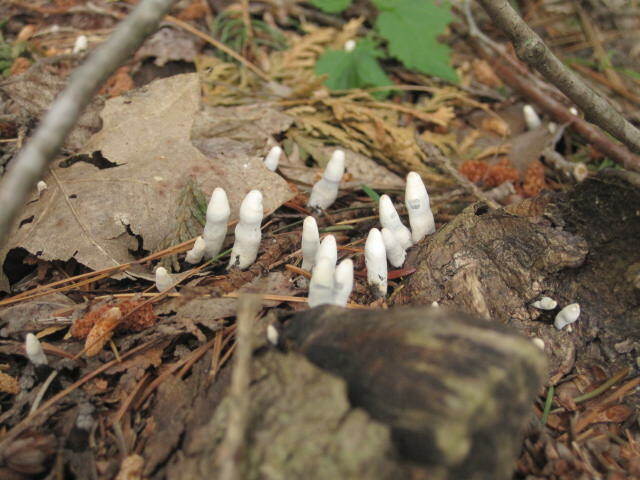 There are lots of xylaria spp. 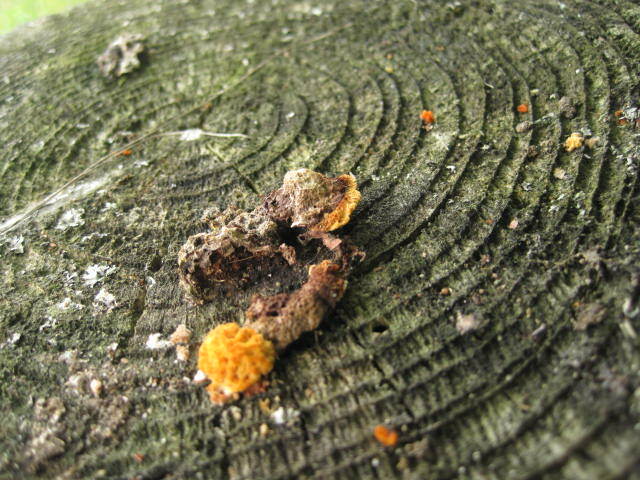 and many are very hard to ID to species but they all grow directly from wood. 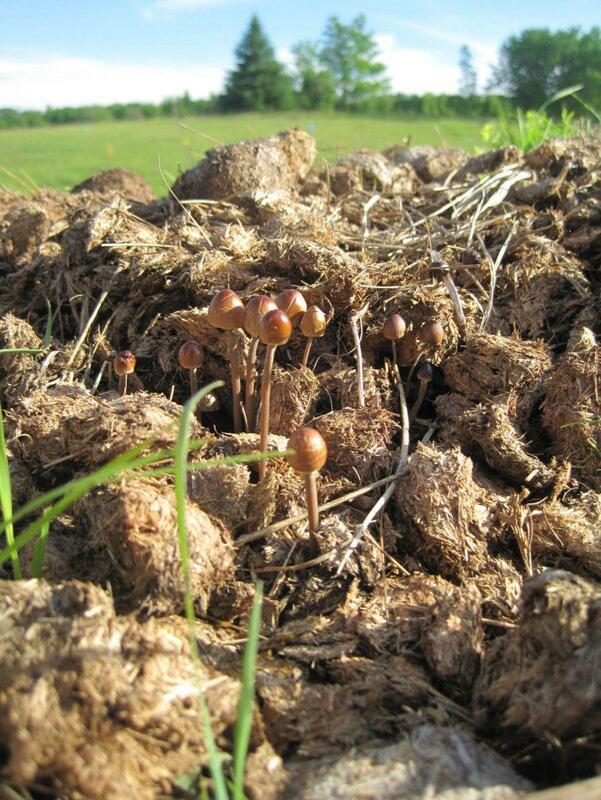 Dig some up! 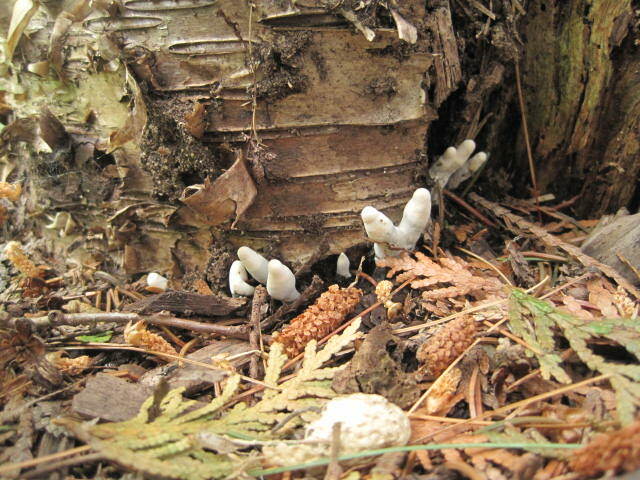 If they are all rooted into wood, they probably are xylaria. If not, then I'm still leaning towards a spp. 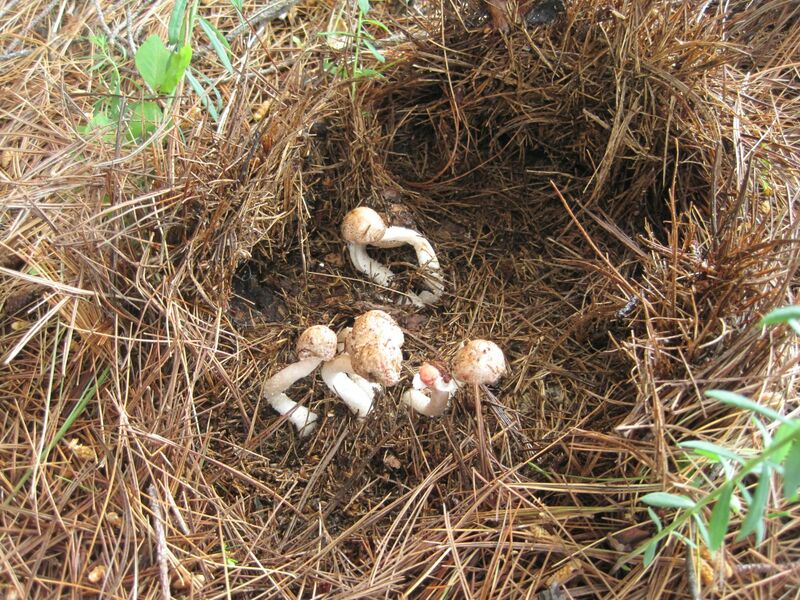 of Clavaria. 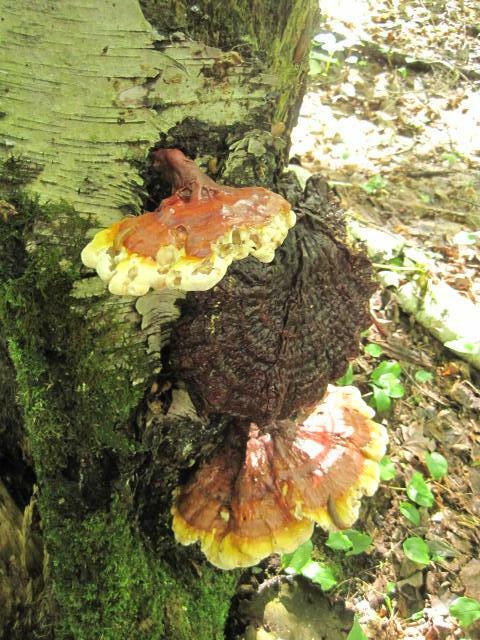 I love a good mushroom mystery!! 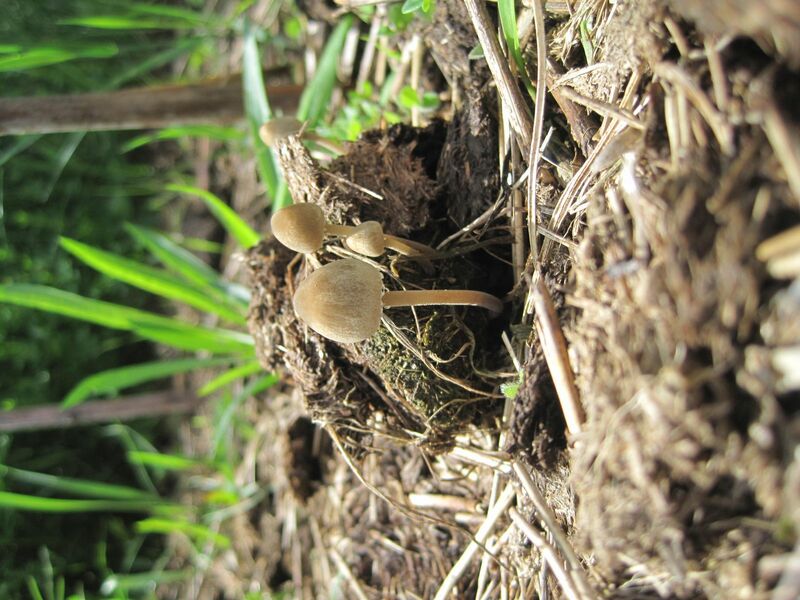 Maybe my friends and family are right about me being a mushroom geek.